Is this still available? How can I contact Nathan directly? 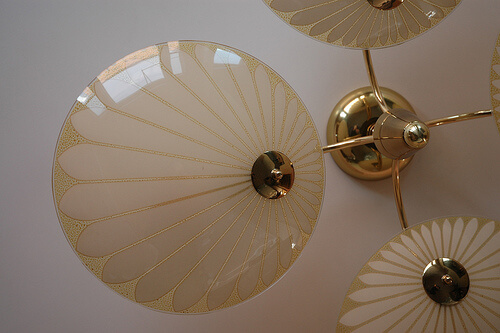 I just purchased a house built in ’61 and want to keep the mid century theme. Help please!!! NOTE: I am closing comments on this story — which was originally published in 2010 — because they are getting repetitive. I think all of the confusion is because nobody knows what happened to the kitchen. You said a few years ago that the kitchen was “long gone” but then Nathan said it was still available and then disappeared again. I absolutely love this. In 1990 we purchased a home that had been built in the late 1800’s. 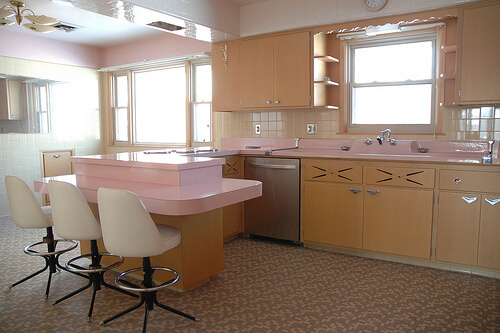 It had been remodeled in the 1950’s and had the pink built in refrigerator, the pink countertop stove, and the built in oven. I loved them all. 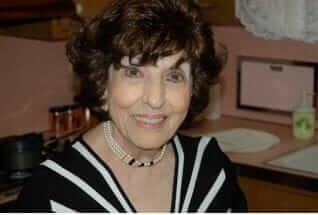 After a job change, I sold the home in 2008, and so wish that I had kept the home that I dearly loved. 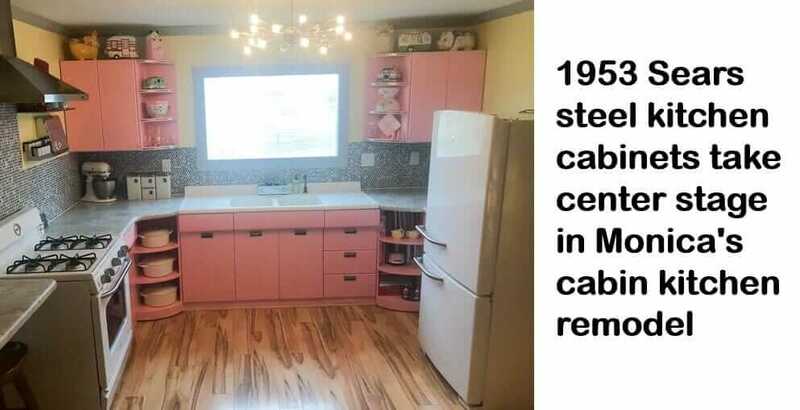 When I saw these pictures, so many memories can back to me, of raising my family in the home “with the pink appliances.” It would be wonderful to have a chance at remodeling my kitchen and incorporating the lovely pink appliances. 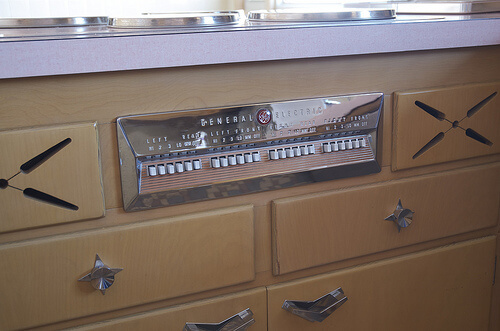 Reminds me so much of my uncle and aunt’s kitchen – – very, very similar, right down to the GE appliances and draw pulls. 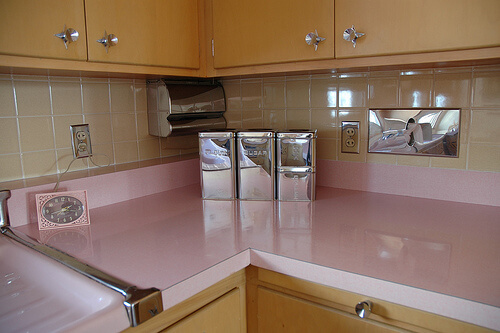 In fact, this is the most similar kitchen I’ve ever seen to the old place. My cousin hated the kitchen and when her parents moved into a retirement home a few years ago she took control of the estate and promptly hired someone to “update” the kitchen with HD appliances, counter and cabinets. 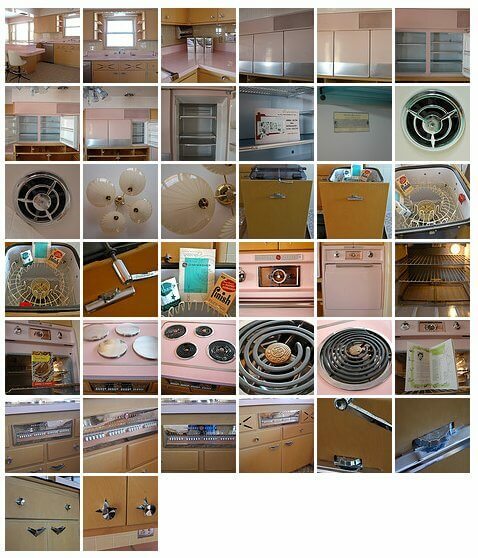 I offered (begged, really) to buy the kitchen and to pay for it’s removal, but she just wanted the place sold ASAP and that was the last anyone saw of that beautiful kitchen. Just pause a moment and imagine you are a 50 year old woman walking into your daughters 1962 modern marvel. 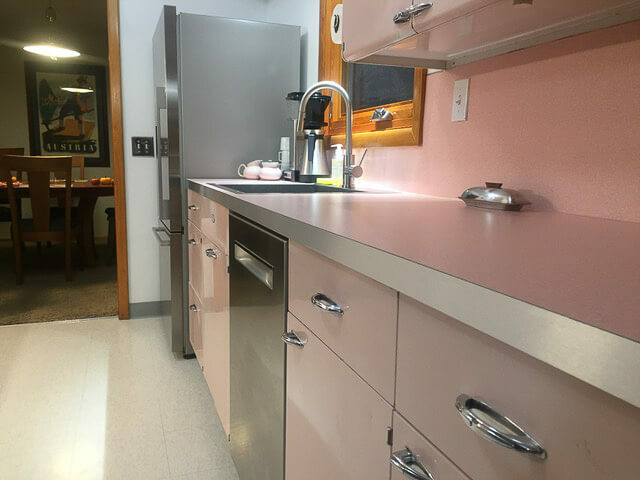 I realize in our standards today this kitchen seems outdated and ancient, but if you were that woman walking into her daughters kitchen….you would have been awe struck. Imagine what the mother had when she was a kid. A coal stove maybe? A pump sink? 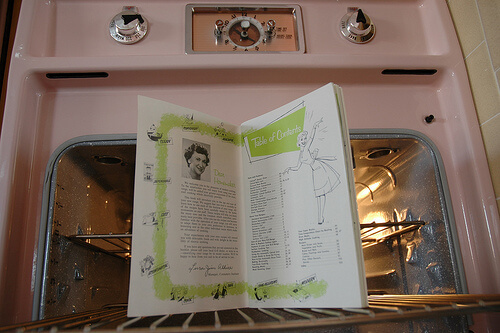 Just think how far advanced this was to her….it probably seemed space age. 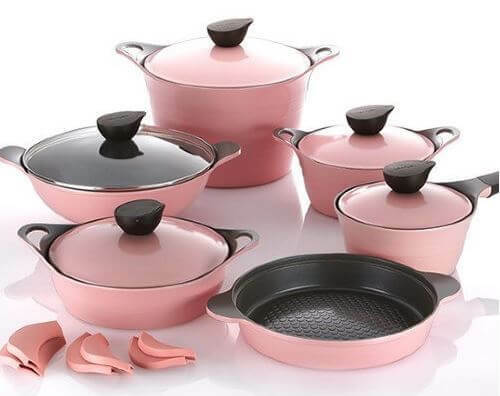 For that I can appreciate the beauty in this kitchen. 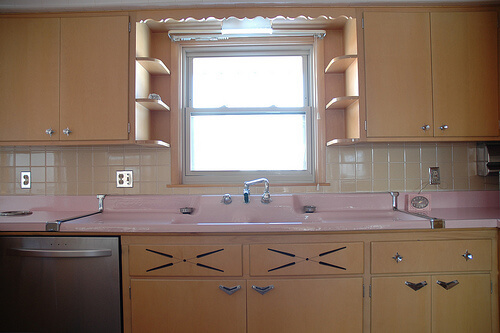 This place was kept in pristine condition and I applaud whomever was the housewife that kept that kitchen up. She was a hard worker. Would have been great for a movie set, or a Hello Kitty ad.